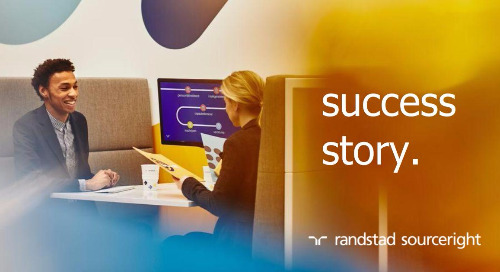 Home » Randstad Sourceright Insights » as AI accelerates, the value of emotional intelligence remains. Amazon Go became the most anticipated grocery store to open in 2017. Using AI and advanced camera technology, the store doesn’t employ cashiers or check-out machines. Every purchase is recorded when customers simply pick up an item and leave. Last year, AI helped astronomers discover an eight-planet solar system by sifting through thousands of photos taken by the Kepler telescope, processing light-reading data to locate the group. An AI-enabled machine that first beat a human in the ancient game of GO in 2016 was crushed by an improved version. The updated machine won 100 consecutive matches, indicating how quickly developers had advanced the technology. AI is quickly touching many facets of our personal and professional lives. So what does this mean for your organization’s talent strategies? There are many implications resulting from AI’s accelerating development. As a talent leader, you should move forward with a clear strategy and plan of action in mind. Let’s take a look at some of the ways technology will impact your recruitment efforts this year. The application of AI in talent acquisition may completely transform how your company matches roles to candidates. Technologies such as Brilent, MonsterMatch and Restless Bandit all leverage advanced algorithms to search online CVs quickly and effectively. 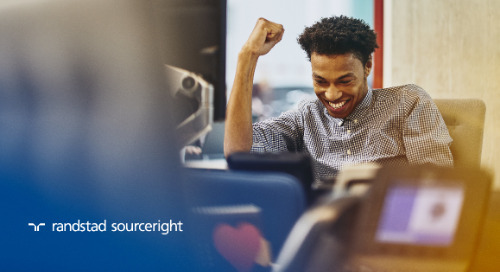 These tools are being implemented in large enterprises around the world and will help recruiters find the right workers in a more objective way. According to the Talent Board, which conducts an annual survey of employers and their job candidates, many companies still fail to keep applicants engaged after they enter the recruitment funnel. A growing number of tools facilitate efforts to maintain contact throughout the hiring cycle, using chatbots to collect candidate information and provide immediate answers to their questions. 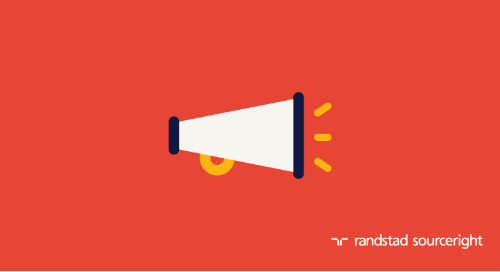 For instance, automated text alerts keep job seekers updated and interested in your organization, resulting in a positive candidate experience. Today AI is effective at simple interview scheduling, but not when complex schedules are involved. Expect this to change in the future as the technology advances. A growing number of solutions have recently emerged and use virtual assistants to create scheduled events with candidates. The AI behind these technologies is designed to provide a more personal experience. Machine learning will increasingly help organizations to make better workforce planning decisions. 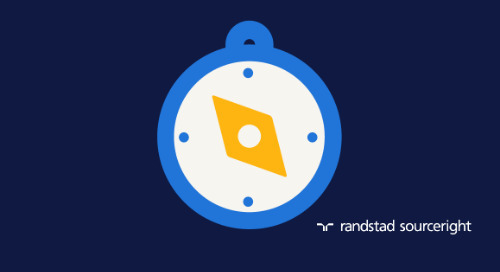 For instance, smart systems, such as Randstad Sourceright’s own TalentRadar, can use analytical data to help hiring managers predict the time required to fill a role. 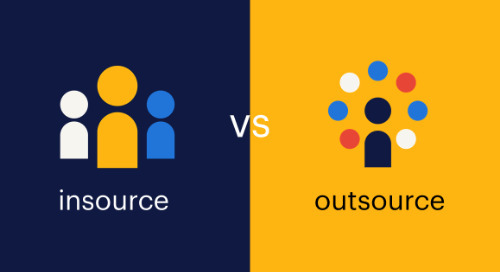 These insights can drive decisions about whether alternative resources (such as freelancers or statement of work contractors) should be engaged to fit the company’s needs. These are just a few examples of how machines are helping employers get talent more quickly and efficiently, but many more are under development. Excitement over the potential of AI and machine learning is picking up momentum. In fact, employers overwhelmingly believe technology is enhancing attraction, engagement and retention of talent. 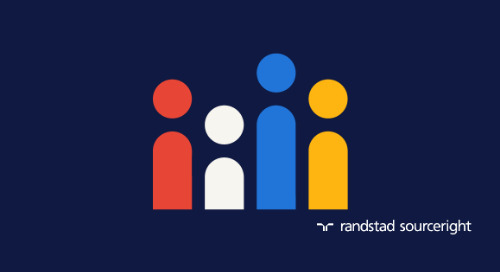 Randstad Sourceright’s 2018 Talent Trends survey of more than 800 C-suite and human capital leaders around the world finds that 87% believe this to be the case. Clearly, technology is a great accelerator of talent strategy. 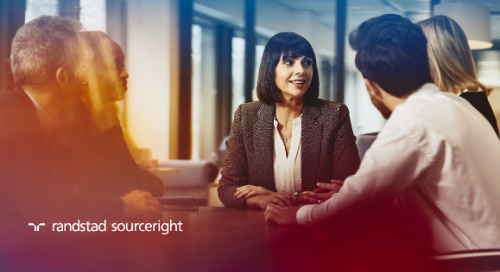 If you take a close look at all the ways technology is helping talent leaders move the needle forward, however, you’ll notice one glaring fact: these tools ultimately rely on human and emotional intelligence to complete the cycle. Job-matching assistants are great for processing a large number of CVs quickly, but when deciding the best choice for a particular role, hiring managers lean on data and experience to make the pick. 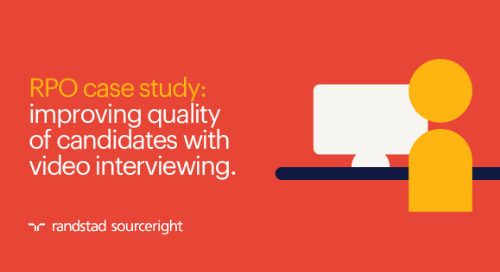 Engagement platforms can maintain regular communication with applicants, but gaining their trust is best achieved through personal connections with a human recruiter. As technology becomes accessible and begins to level the competitive playing field, it’s the human element that will help your company stand out. 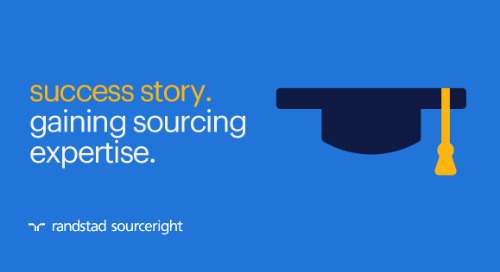 With this in mind, how will the roles of your recruiters and sourcers evolve? 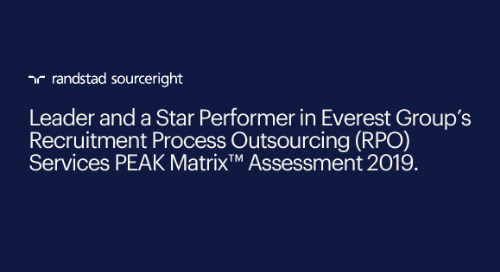 Today, many are still performing tasks best left to technology — such as reference checking, offer letter generation and standard screening — distracting them from delivering the real value of a human and connecting with talent on a personal level. 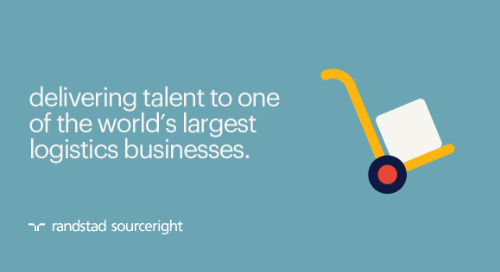 With competition for talent growing, you must differentiate your business from others seeking the same skills. 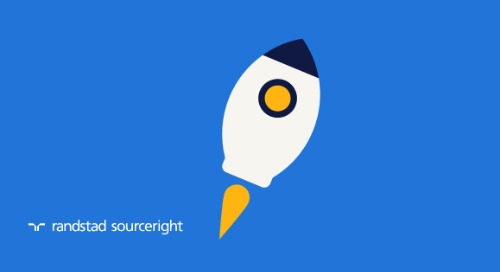 Part of your challenge is to ensure you provide the right tools to accelerate output. 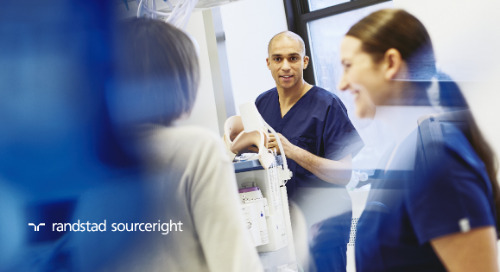 Also important is nurturing the empathetic skills required to engage and win the trust of talent. 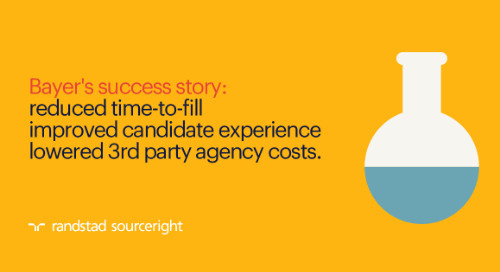 Sourcers that once wrote creative search strings may need to transition into talent advisory roles to better support hiring managers and candidates. As AI becomes more and more ingrained in our workplaces, unquestionably, some roles will be replaced as some tasks become automated. Like any previous industrial revolution, the transition will be difficult for some. 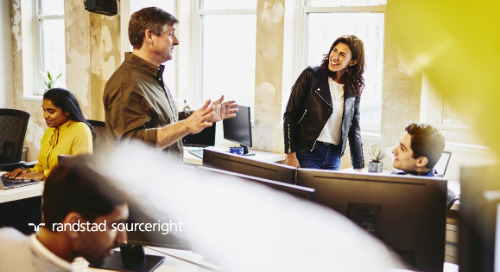 However, it’s really an opportunity to reimagine how your existing workforce can put their emotional intelligence to better use and reshape your business model. 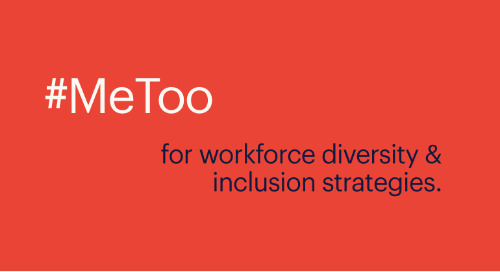 To learn more about this trend and other issues facing talent leaders this year, get your copy of the 2018 Talent Trends Report. 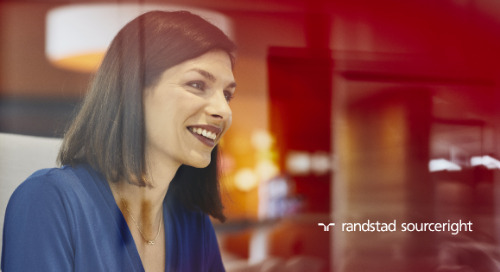 In her role as senior director, data science for Randstad Sourceright, Summer Husband is responsible for helping to bring recruiting data to life. 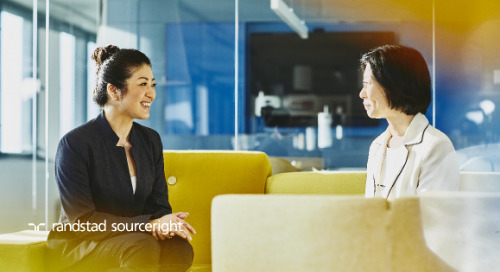 Through deep analysis and visualization, applying predictive analytics and machine learning, Summer supports clients’ preemptive decision-making and delivers continuous and measurable improvements across all aspects of talent acquisition.